It can also be used in regular gasoline applications as well. It is a black color cloth, with white text / markings on it as shown in photo #1. 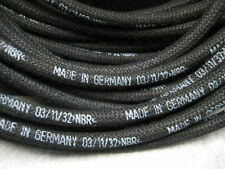 Premium, OEM Quality - Made in Germany. 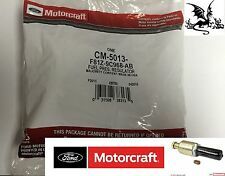 CM-5013 NEW OEM FORD 7.3L IPR VALVE Fuel Injection Pressure Regulator 95.5-03 ! 7.3L Powerstroke IPR Injection Pressure Regulator. Fits 1995.5-2003 Ford F250/350/450/550 7.3L Diesel Trucks. No exceptions! We are located near Chicago in the NorthWest Suburbs. Local Pick-Up . 5 out of 5 stars - CM-5013 NEW OEM FORD 7.3L IPR VALVE Fuel Injection Pressure Regulator 95.5-03 ! 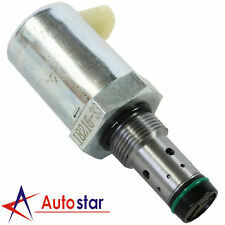 50 product ratings50 product ratings - CM-5013 NEW OEM FORD 7.3L IPR VALVE Fuel Injection Pressure Regulator 95.5-03 ! FREE 2 DAY PRIORITY SHIPPING!! 3 YEAR WARRANTY!! OE fuel pressure regulator or adjustable fuel pressure regulator mounts directly to rail with no modifications. High Flow Fuel Rail, Fuel Pressure Regulator, and Fuel Pressure Gauge. A custom fuel line fitting is included for the factory fuel line and the ends of each rail are tapped to accept -6 AN or 9/16" x 18 fittings for users who want to use custom fuel lines. 7.3 ICP SENSOR F6TZ-9F838-A. FITS 97.5 - 2003 FORD 7.3L DIESEL ENGINES. Trending at $34.74eBay determines this price through a machine learned model of the product's sale prices within the last 90 days. Check the price, get the USA made products at the price of the off shore non USA products. FYI our PMD uses the standard flat pin plug that has been used since 1994. 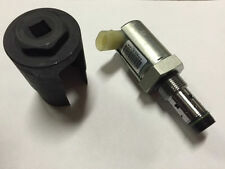 Be sure you confirm which plug end you have on your injection pump so you know this product will plug right it and be ready to operate when you receive it. 100% Genuine Original DENSO parts, not generic. It senses the pressure in the high-pressure oil system and reports back to the engine computer which in turn adjusts the IPR valve position to achieve the desired pressure for a particular desired engine speed and load. 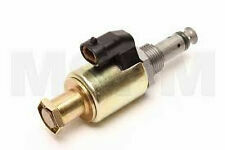 (Not only is it suitable for Fuel injection, but also for water, petrol, diesel, oils, and other fluids. Inlet Thread: 5 / 16” (8mm). Outlet Thread: 5 / 16” (8mm). 5) Fit for Carburetors and low pressure fuel systems. All the fittings feature a reusable spin-lock connector that does not require specialty tools to disassemble. CPP LS Conversion Fuel Filter/Regulator Kit. 25 feet of high-pressure fuel injection hose. Our products and service will speak for themselves! and accessories for all types of cars, trucks, ATV, UTV and motorcycles. With a high rate. Trending at $85.98eBay determines this price through a machine learned model of the product's sale prices within the last 90 days. C5 Corvette Fuel Filter/Fuel Pressure Regulator assembly. Features: Deepmotor Fuel Rails are CNC-machined to precise tolerances then anodized black for a dignified finish. Designed for OE-Style LS Intake manifolds these aluminum EFI fuel rails are capable of feeding 1,100 HP engines. Featuring 1/2" diameter inner bore to decrease fuel pressure drop, help cancel out back pulses, and distribute fuel to all injectors properly. 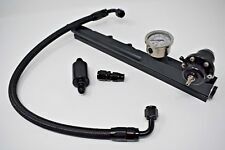 These High Performance Fuel Rails come with matching fittings, crossover hose and hardware. Package Contents: 2* OE LS1 Fuel Rails 1* Crossover Line Some crossover hose and hardware Brand Deepmotor Material Aluminum Manufacturer Part Number DM-2220 UPC Does not apply. 1993 - 1996 Honda Civic 1.5L 1.6L. 1997 - 2001 Honda CR-V 2.0L. Condition: New. 5 - Regional Box A. 2 - Padded FR Envelope. 2 - FR Envelope. 00-04 Kia Spectra Spectra 1.8L 2000 - 2004. 01-05 Kia Rio Rio 1.6L 2001 - 2005. Hyundai / Kia OEM. Manifold Lamp Knuckle Hub Hose Grill Flywheel Emblem. Injectors Tie Rods Switch Strut Speed. O2 Sensors. INFINITI I35 2002 V6-3.5L. INFINITI I30 2001-2000 V6-3.0L. NISSAN MAXIMA 2001-2000 V6-3.0L. VEHICLES MODEL YEAR ENGINE. =========================. Hose Connector Quantity: 2. 1996-2000 Honda Civic Manual Transmission(CX DX and LX only). Application 1996-2000 Honda Civic With Automatic Transmission. 1996-1997 Honda Civic del Sol With Automatic Transmission. 1996-1996 Honda Civic del So S With Manual Transmission(Exclude Manual transmission of (SI and VTEC )). When the engine is idling low the fuel flow used compared to full power is only approx 15%. When the engine is tuned the optimum efficiency can be obtained with the optimum mixture of A/F ratio. Trending at $87.33eBay determines this price through a machine learned model of the product's sale prices within the last 90 days. Liquid Filled Gauge included. Inlet size: -6AN. Description: 100% Brand New High Quality This tool is designed to turn a several hour job down to about 15 to 20 minutes. It's a must have for anybody's tool box. OEM standards, standardized testing, and product verification No Instruction Included,Professional Installation is Highly Recommended Package: As picture shown Brand Unbranded Manufacturer Part Number Does Not Apply UPC Does Not Apply Part Number F81Z-9C968-AB, CM5013, CM-5013 Other Part Number 7.3L Powerstroke IPR Injection Pressure Regulator Warranty 90 Day Warranty 90 Day. THIS KIT WILL NOT FIT 1994-1997 FUEL BOWLS. I HAVE A FUEL BOWL RESEAL KIT FOR THE 1994.5-1997 7.3 POWERSTROKE. This is a complete kit to re-seal the fuel bowl, and fuel lines connecting to the bowl on 1999-2003 Ford 7.3 liter diesel engine. MSD 2225 LS1 Engine Swap Fuel Filter Regulator Fuel Pump & Fitting Kit. This kit allows simple integration of the single feed LS1, LS2, LS6, LS3, LS7 fuel rail systems with a conventional fuel pump without having to use any expensive regulators. 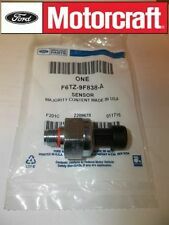 Motorcraft Injector Pressure Regulator(IPR). FORD 6.0L Diesel Engine IPR VALVE. 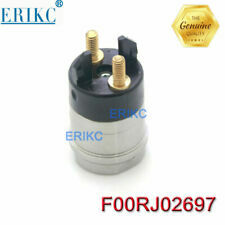 1 x Injector Pressure Regulator Valve IPR Ford Powerstroke Diesel 6.0L 03-10 as pictured. 6.0 Injector Pressure Regulator. Rework your own harness! Save $$$! 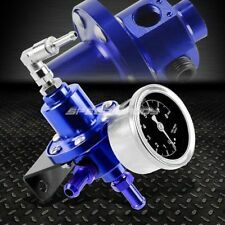 Fuel Pressure Regulator with Blue Spring for Increased Fuel Pressure. !! 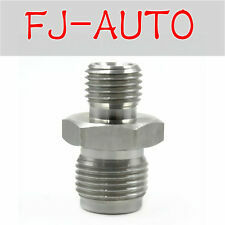 6.0L Ford Powerstroke High Pressure Oil Rail Ball Tube Tool / Socket !! Works on 2003-2007 Ford 6.0L Powerstroke engines. 6.0L Ford Powerstroke High Pressure Oil Rail Special Tool for Ball Tube Removal. Must Have Tool for Removal of Ball Tubes on Oil Rail! This socket is used to remove the oil ball tubes and replace the o-rings. Fuel Injector Jumper Wiring Harness For 6.0L Ford 03-07 Powerstroke Diesel FICM. This is FITS ALL FORD 6.0L POWERSTROKE DIESEL ENGINES. The wiring harness holds the wires of the fuel injector. When that happens, you have to be ready to replace the wiring harness of your vehicle right away.